But Pettit found the print in that Arno Press edition difficult to read, being small and almost illegible in places. 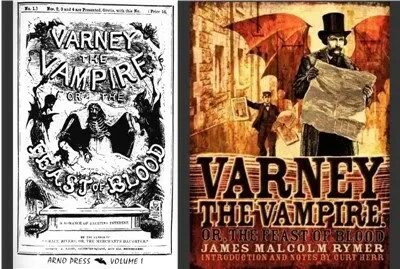 “Happily,” he says, “Zittaw Press has published a new complete edition of Varney, edited by Curt Herr. G. W. M. Reynolds (July 23, 1814 – June 19, 1879) is not as famous today as Dickens or Thackery, but during his lifetime, he was arguably more popular. His serial The Mysteries of London (1844), sold 40,000 copies a week in installments known as “penny dreadfuls” before it was issued in bound volumes. 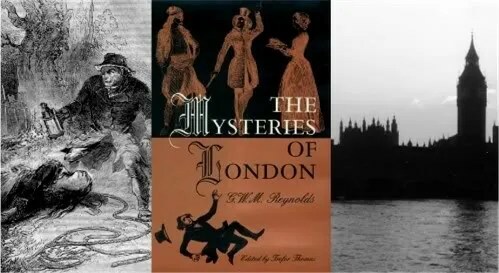 You can read the entire text of Mysteries of London at the Victorian London web site.